THE OCEAN AT THE END OF THE LANE. Neil Gaiman. Harper Collins. Neil Gaiman doesn’t just evoke childhood when you read his work. Whether you are out on the back porch, tilting your Kindle away from the sun, or in a recliner in the living room reading the hardback, you feel that you really should be reading it with a flashlight under the covers of your bed, breathlessly and avidly going from one chapter to the next. The story is about a boy in rural Sussex, England, sometime after World War II. He’s an ordinary British boy with an ordinary British bratty sister and ordinary British remote parents. His neighbors at Hempstead Farm aren’t quite so ordinary; the 11 year old girl remembers Charles II; her mum remembers when Earth acquired an oxygen atmosphere; gramm remembers watching the Big Bang. With friends like that, it’s hard to imagine a boy getting in trouble, but our protagonist manages. His hand slips out of the girl’s at the wrong moment, and he winds up bringing an entity back with him who wants to make everyone happy by giving them money. Contrary to what you might think, this is not a good thing. 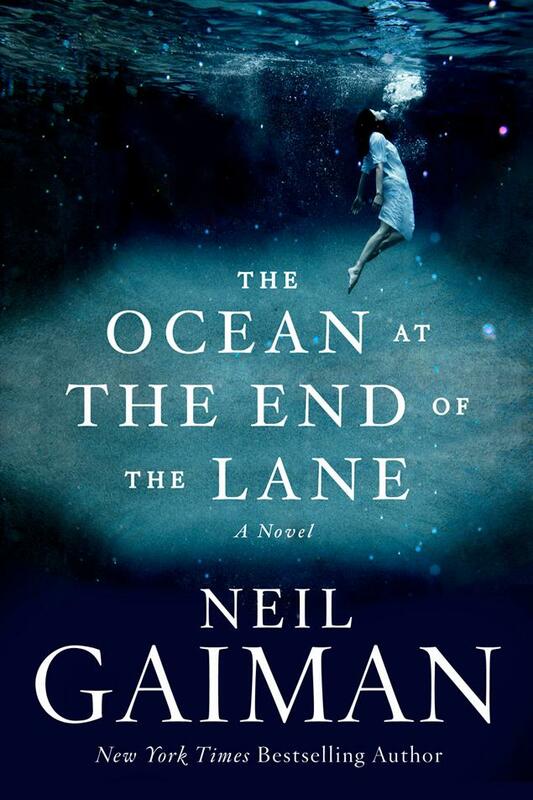 Gaiman makes the utterly incredible completely accessible as only he can, and readers may find the notion there is an ocean at the end of a country lane that disguises itself as a duck pond much easier to grasp than that of obsolete British coinage. For the record: a shilling is about the size of a twenty-five cent piece; a sixpence is the diameter of a nickel, but thinner. Both were made of silver. Knowing this is helpful, but not necessary. It is suggested that the reader not try to eat either type of coin. And now, if you’ll excuse me, I have my flashlight and I’m about to dive under the covers. I want to read it again. This entry was posted on August 1, 2013 by Jacob Aiello in 2013, August 2013, In the Spotlight, Rat On Fiction & Nonfiction and tagged Book Review, Books, Guest Review.